Physician employment by hospitals is a newer trend with healthcare hiring. Success will require a re-thinking of the physician workforce; how we attract, recruit, select, engage and develop these highly paid, very valuable, employees. This trend also raises questions about the role of human resources, and the practical issues that come with these new employees. We wanted some insight from a physician who is familiar with the situation. Sam Agnew, MD, is the President and CMO, Global Trauma Solutions. An Orthopaedic trauma surgeon, he advises hospitals and physicians about employment strategies. 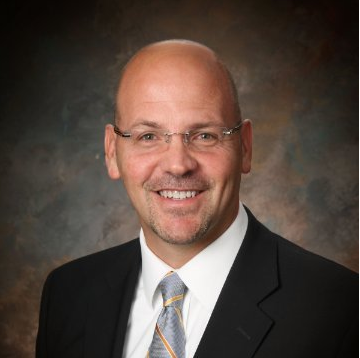 He has served as Medical Director of Delphi Healthcare Partners and held numerous academic appointments. He recently co-authored “Hospital Employment of Orthopaedic Surgeons – a Primer for Orthopaedic Surgeons” for the American Academy of Orthopaedic Surgeons. 1. What is driving the trend of increasing physician employment? Practical- In the sense that fewer alternatives exist. Particularly with surgeons, hospitals have been dominating the surgical access point whether through hospital mergers and practice acquisitions. 2. What should hospitals be doing to attract and retain physicians? Hospitals appear to be quite adept at attracting surgeons. The real issue is retention. Surgeon attrition is still hovering at 50-60% in the first 5 years of engagement-same as 12 years ago. Hospitals need to give more thought to career development. Doing a better job understanding the physician and the physician’s goals at the start of the relationship would also make a big difference. 3. Are hospitals looking for something different in the recruiting and hiring process? I believe there is a glacial shift in this regard. Hospitals are more focused on improving performance and the need for physicians with certain attributes has become more acute. A warm body is not the ideal candidate for 20 or 30% of the positions and this is forcing a shift towards better cultural and operational fit. 4. Once we’ve identified the right candidate, what are some of the important considerations when it comes to bringing that physician on-board? I am always amazed at the lack of a substantive on-boarding plan for the employed surgeon. Hospitals need to do something to help physicians feel that the institution cares for their professional well being. More importantly, there needs to be a plan – a plan for volume growth, a plan for career development, a plan for operational support. 5. Physician leadership – New care delivery models, bundled payment, ACOs, etc. will require not only new levels of collaboration between physicians and hospitals, but also new levels of leadership. How is the concept of physician leadership changing? Almost every institution has the same generic definition of leadership but the expectation of the physician leader varies tremendously based on size and culture of the institution. The evolution of leadership hopefully is morphing from what is best for the institution to what is best for the practitioner-patient complex as that is what needs to be the core of the Leadership model. Traditional medical staff leadership positions did not require strong collaborators or communicators, innovators, or even healthcare business acumen. These are critical, now, but most hospitals have not figured out how to identify or develop these traits. For more information, see our White Paper on Physician Employment.